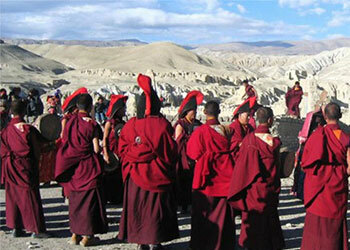 Nepal Festival trekking is specially designed for those people who want to learn and celebrate a new culture. 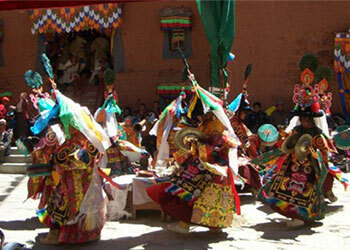 Festivals are the crucial events and there are more than 50 festivals being celebrated in Nepal each year. Nepal is not only famous as the Himalayan country, but also the culture, traditions, and religion make it a distinct nation. Different ethnicity has their own culture and festivals and it is very much interesting to observe and take part in those festivals so, many of the travelers every year travel Nepal to experience these festivals. There are some of the festivals those are celebrated all over the country such as Dashain, Deepawali, Chhat, Buddha Jayanti, Christmas, Mani Rimdu, Tiji, Maha Shivaratri, Holy and many more. Amongst, Mani Rimdu and Dumji festivals trek in the Everest region and Tiji festival trek in Mustang have been very popular today. All the festivals celebrated in Nepal have fixed date or month to be celebrated that is basically set by an astrologer following the lunar calendar. Nepal Festival trekking takes you to the remote villages of Nepal and also Tibet where you will be greeted by local people merrily dressed in their traditional wears. Whilst you are there you will have an opportunity to witness the culture, art, and music associated with the various celebrations. Those who took on the challenge can also expect the majestic views of the mountain peaks, scenic beauty, incredible natural scenery, and so forth while they are on festival trek. Apparently, Festival Trekking is more in demand these days and therefore the hotels and the flights tend to get sold out a month in advance. Anyone that fancy taking part in these fascinating festivals should plan and make their preparations well in advance. 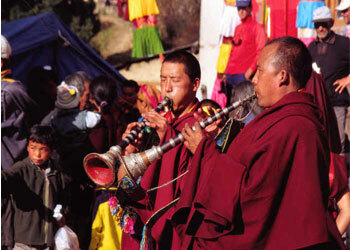 As the trekking combined with the festival is becoming more popular compared to other, “Above the Himalaya” presents you the Festival trekking so that you can experience the local culture and their festivals with local people.